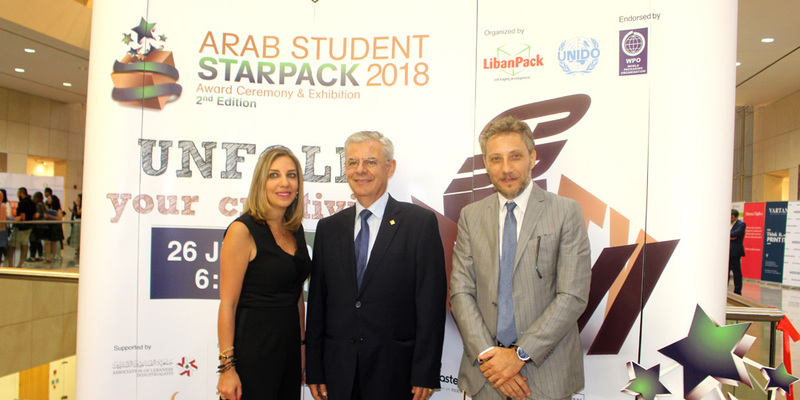 UNIPAK recognizes a new Arab talent at the second edition of Arab Student StarPack Competition for 2018. 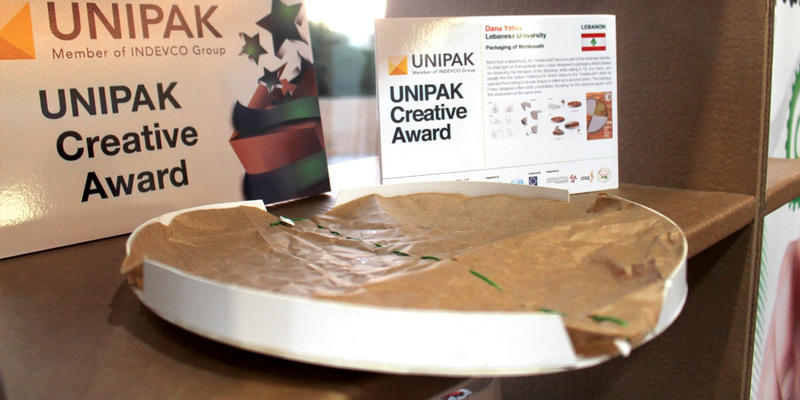 As the Gold Sponsor of the 2nd edition of the Arab Student StarPack competition, UNIPAK recognized a new Arab talent, who was able to design and execute an outstanding packaging solution under structural design category. This recognition took place on June 26, 2018 during the closing ceremony of the Arab Student StarPack competition, which was held at the Headquarters of Union of Arab Chamber. 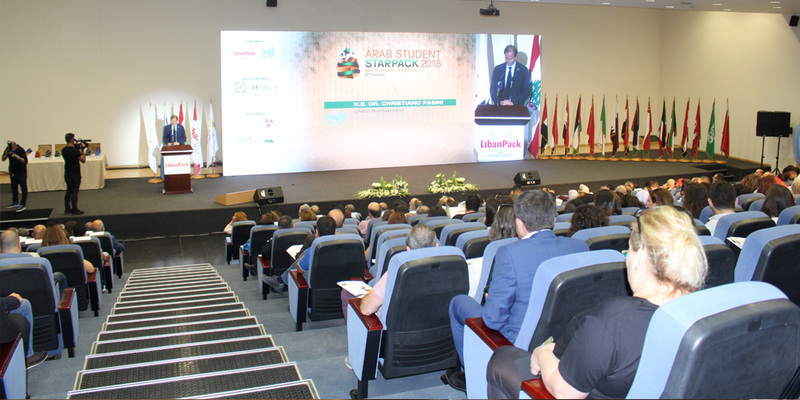 Organized by the Lebanese Packaging Center, LibanPack in collaboration with UNIDO, the Arab StarPack Competition invites university students in Arab countries to create packaging solutions for their national products. The competition engages youth in the industrial process and involves them in developing inclusive and sustainable packaging designs. 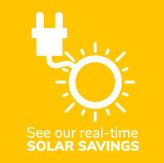 It equally provides them with the opportunity to unleash their creativity to upgrade the packaging of recognized products in their countries. UNIPAK’s winning design went to a Ms. Dana Yehia from Lebanon. Inspired by the notion that the traditional Lebanese pie, the “Mankoushi,” has grown to become part of the country’s identity, Yehia came up with a new concept package design for this pie. Her design is based on her personal observation of the way Lebanese people eat their “Mankoushi” and have designed a package that caters for the two famous ways (open or wrapped) while considering consumer convenience and environmental aspects. Made of cardboard, Yehia’s concept design is circular in shape, resembling that of the “Mankoushi” and is split into equal halves allowing consumers to enjoy an even portion of a halved pie. A thread runs across the diameter of the package in order to ensure proper sealing of the box and preserve the freshness of the contents at the same time. Mr. Habib Jaber, UNIPAK General Manager, awarded Ms. Yehia for her creative idea. 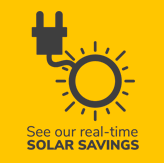 Through her distinguished design, Yehia was able to introduce a smart and sustainable packaging solution that aligns with UNIPAK’s mission. 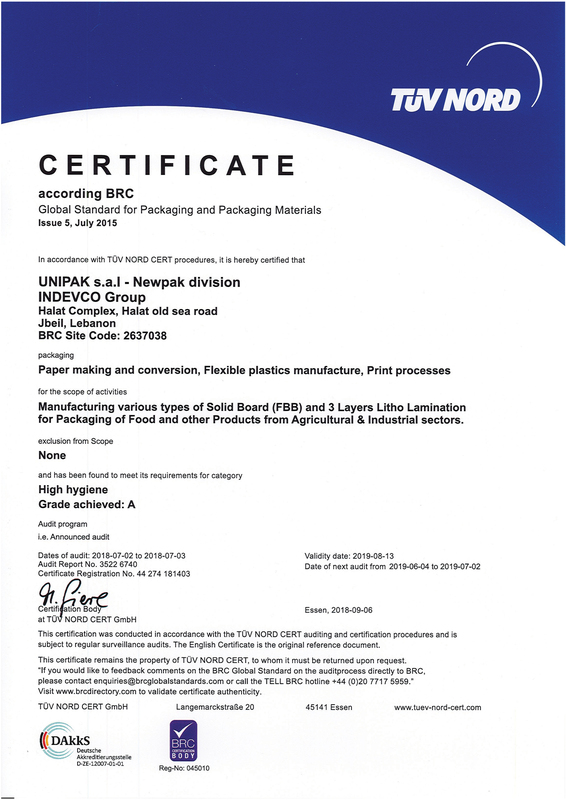 Through its participation in this competition, UNIPAK confirmed its support to the young, talented and promising designers, whose efforts underscore UNIPAK’s leading role in promoting smart, superior and sustainable packaging solutions. 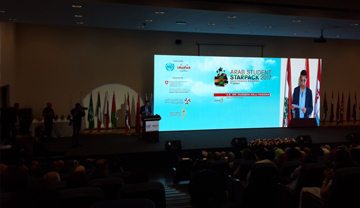 UNIPAK SPONSORS THE FIRST EDITION OF THE STARPACK ARAB STUDENT AWARD AND EXHIBITION EVENT.